Select Size 8 oz. 64 oz. 2 oz. 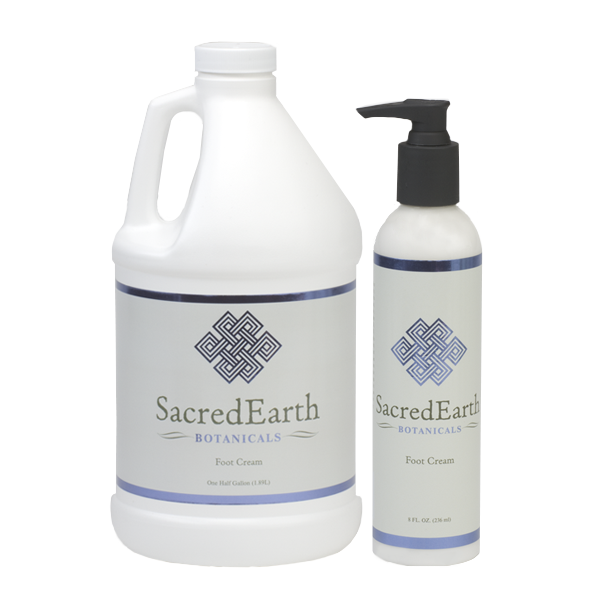 SacredEarth Botanicals foot cream was formulated to bring relief to sore, cracked and achy feet and legs by increasing blood flow and promoting healing using a custom blend of organic essential oils and extracts. 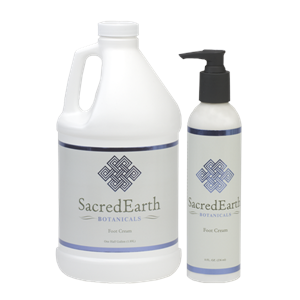 Organic peppermint essential oil creates a cooling sensation and organic lemongrass essential oil helps increase circulation, making it the perfect complement to a full body massage or as a spot treatment on the feet and legs. My clients love this soothing foot creme. It reminds me of candy canes or Peppermint Patties, not TicTacs. The added bonus to how it leaves my clients' feet is how soft it leaves my hands. Don't let the cost deter you. A little goes a LONG way!